SURPRISE, AZ	The City of Surprise announced today, that they will host the Cancer Treatment Centers of America Championships at Surprise, to be held November 5-9th at the Surprise Tennis and Racquet Complex in Surprise, Arizona. The tournament will be an official tour stop on the Outback Champions Series (OCS), a circuit founded in 2005 for the world’s best male tennis players 30 and over featuring players such as Pete Sampras, Todd Martin, Wayne Ferreira and Series founding partner Jim Courier. Cancer Treatment Centers of America (CTCA), which will open in the Southwest Phoenix Valley in early 2009, signed on as title sponsor of the event for three years. “This multi-year deal affirms our commitment to serving the communities of the West Valley as well as our passion for world-class tennis. This tournament, like the presence of our new hospital that will open next January, will draw travelers from throughout the west,” says Steve Bonner, CEO of CTCA. With world-class facilities available, the 25-court Surprise Tennis and Racquet Complex (STRC) will host the event which will span five days in a 2,500 seat stadium, providing an intimate setting for world-class tennis and opportunities to interact with the champions through autograph sessions, kid’s day clinics and a sponsor pro-am. Outback Champions Series tournaments are played in select markets where the legends of the sport compete in a highly competitive, yet fan-friendly, round-robin format with a champion crowned at each tournament. Eligible players have either held a top 5 singles ranking, been a Grand Slam Singles Finalist or a Singles Player on a Championship Davis Cup Team during their ATP (Association of Tennis Professionals)Tour playing career. One wildcard player may be chosen by the promoters and all players must be a minimum of 30 years of age. This format ensures that fans will see a legend competing in every match of every session of every event. Outback Champions Series events have recently included John McEnroe, Pete Sampras, Jim Courier, Mats Wilander, Mark Philippoussis and more. The first champions committed to the Cancer Treatment Centers of America Championships are Jim Courier, Todd Martin, and Wayne Ferreira. They will be joined by five other tennis legends to be announced at a later date. The Surprise Tennis and Racquet Complex, 14469 W. Paradise Lane, offers lessons, leagues and tournaments for all levels. John Austin serves as its manager, himself a Wimbledon Champion of Mixed Doubles with his sister Tracy Austin in 1980. “This complex is a great place to learn the game of tennis, to brush up on skills or begin a new workout” says Austin. For more information on the Cancer Treatment Centers of America Championships at Surprise, please visit www.ChampionsSeriesTennis.com. 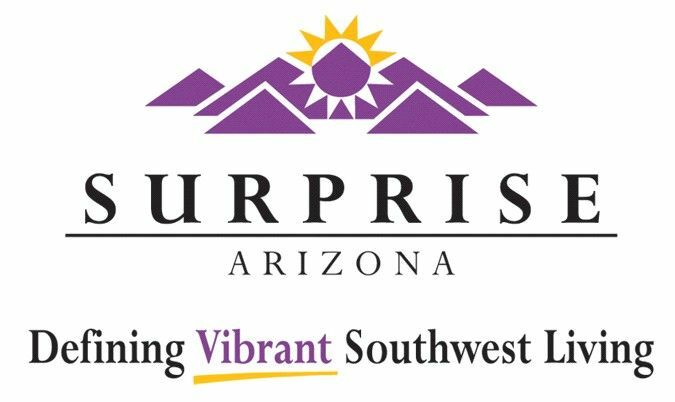 For more information regarding the Surprise Tennis and Racquet Complex visit www.surpriseaz.com/tennis	or call 623.222.2242. To be placed on a priority list for tickets to the Cancer Treatment Centers of America Championship Series call the Surprise Box Office at 623.222.2222. You don’t want to miss this!